A few months ago, I posted a video about “The Smarter Phone“, a concept smartphone that was supposed to be serviceable and upgradeable just like PCs used to be, in order to reduce e-waste among other things. Based on comments here and on Reddit, most people did not really believe the concept was feasible, practical or cost effective, myself included. Fast forward to September, a video about another concept modular smartphone called Phonebloks went viral with over 17 million views. The overall idea is basically the same, but this time there seems to be at least a mockup. Phonebloks features a base where you can attach blocks such as the display, a wifi module, processor module, bluetooth module and so on. It turns out Motorola’s Advanced Technology and Projects group has been working on something similar for a year with Project Ara, and they recently partnered with Phonebloks’ guys, since they were successful in bringing together lots of people around the concept, in order to bring such product to market. 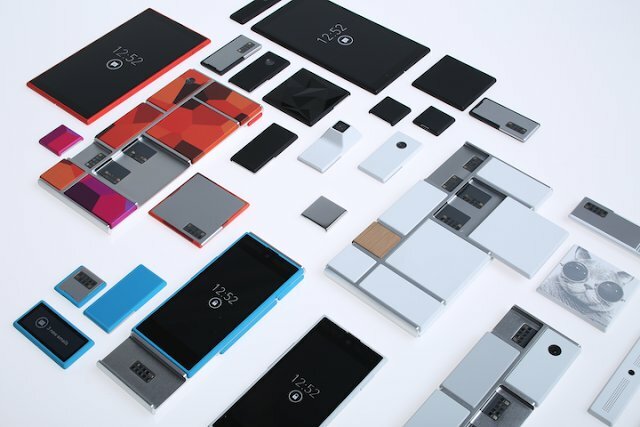 Project Ara has been setup to develop a free, open hardware platform for creating highly modular smartphones. The hardware community will be involved, and their will be an hardware store, just like there’s an app store for Android apps. In theory, you’ll never has to replace your phone, but you’ll just need to change a module to fix a broken part or upgrade your device. In practice, you’d still have to change it at some point due to new standards coming up, and wear and tear. Motorola design is similar to phonebloks but instead of plugging the modules, you slide them in your phone. The company will send an invitation to developers to start creating modules for the Ara platform in a few months, and an alpha release of the Module Developer’s Kit (MDK) may be available sometime this winter. You can sign-up here if you are interested. Here’s the new Motorola + Phonebloks video. If you just want to see how modules slide into Motorola phone fast forward to 1:14.